MOSCOW, September 13. /TASS/. 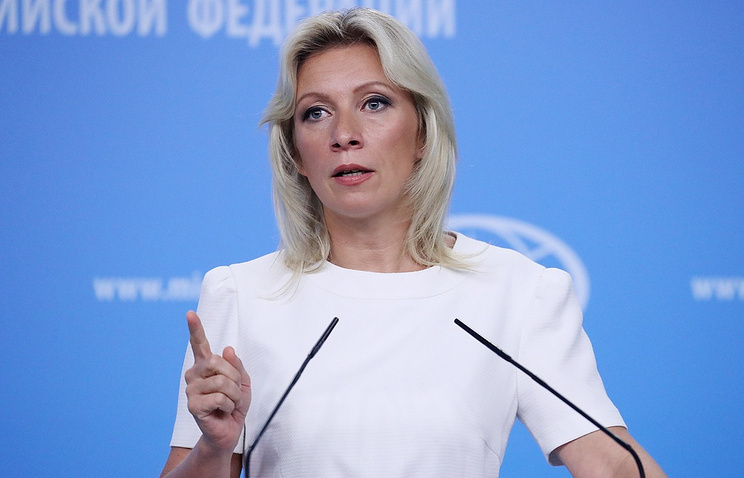 Moscow does not have any data on whatever defector from the Russian Embassy in Rome in the wake of the so-called Skripal case, Maria Zakharova, the Russian Foreign Ministry’s official spokesperson said in a written response to a question from the media on Thursday. "The Russian side does not have whatever information on the mysterious individual, as no one has defected from our Embassy in Rome," she said. "We can only say this kind of exposure of an agent stands in a clear contrast with the typical practice of British secret services," Zakharova said. "Disinformation spread by Britons in connection with the Skripal case has long gone sky-high and the low standards of the circulated fakes cannot withstand any criticism." She called attention to a recent continuation of the ‘spy scandal’ by the UK media, which brought to limelight a new episode, wherein the British spy services received the true names of the Skripals’ poisoners from a former fugitive diplomat at the Russian Embassy in Rome, whom the Britons had ostensibly recruited under the nick Apollo.